That’s a lot to ask for. Mehlman served as President George W. Bush’s reelection campaign manager at a time — 2004 — when Republicans sought to place anti-gay marriage referendums on state ballots in order to whip up anger among social conservatives and boost GOP turnout. In that role, Mehlman campaigned for politicians who demonized gays and backed an anti-gay marriage amendment to the US Constitution. Mehlman’s excuse — that he couldn’t stand up for gay rights because he wasn’t open about his own sexual orientation — isn’t entirely persuasive. He could have objected to these moves without outing himself. Nonetheless, it would be wrong to brush off Mehlman’s appeal for compassion. The coming out process can be complex and painful, especially for those who experience it publicly. To his credit, Mehlman has already begun to throw his weight behind gay causes. This year, he offered fundraising and strategic advice to the American Foundation for Equal Rights, the group that supported the legal challenge to California’s ballot initiative against gay marriage. 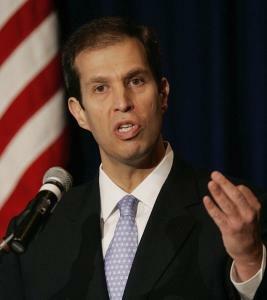 As a high-profile, openly gay Republican, Mehlman is in a unique position to advance gay rights within his party. He might consider working to overturn some of the anti-gay measures he supported in the past. Then he could more credibly ask for the understanding — and support — he desires.